Only Willow has the power to defeat the malevolent Church of Angels - and they will stop at nothing to destroy her. However, Willow is not alone. She is with Alex, a trained Angel Killer - and her one true love. Together, they must train a new generation of Angel Killers. But as a half-angel, Willow can't help feeling like an outcast, even with Alex by her side. So when a handsome stranger with a tortured past arrives at the AK camp, Willow finds herself inextricably drawn to him. 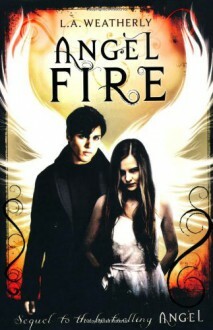 http://angeladietzhanson.booklikes.com YA Anonymous 4.5 Sequeltastic! I can't focus on this book right now but it really is good so far I love sen and hate Kara!